Vietnam’s biodiversity is going through an extinction crisis as it’s one of the global centres of illegal wildlife trade. One of the main hunting methods used to supply the wildlife trade in Vietnam is snaring, an unselective and efficient hunting method that has caused the declines of many ground-dwelling bird and mammal species, many of which are now globally threatened as a result. Despite the apparent bleakness of this situation, there are reasons to be optimistic about conservation in Vietnam: government agencies in Vietnam are starting to take a greater role in conservation and are more aware, protected area governance is improving in some sites, and the Vietnamese public is becoming more environmentally aware too. 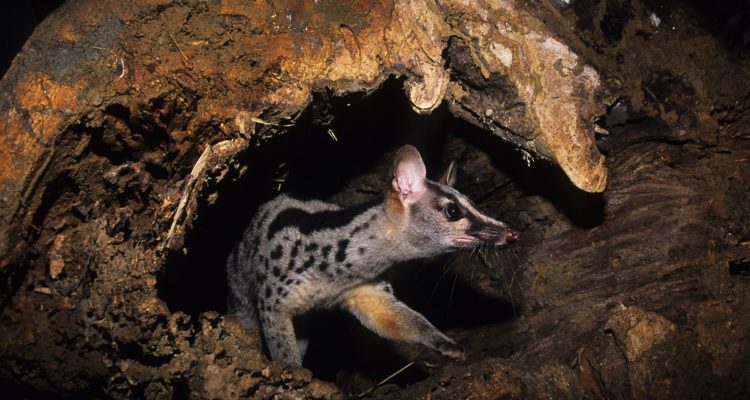 This project will seek to build on this momentum and establish a site-based conservation programme that will recover two of Vietnam’s most threatened mammal species: Owston’s Civet and Sunda Pangolin. Save Vietnam’s Wildlife will work with its government partners to recover populations of these two species in Pu Mat National Park, a site of global importance to wildlife conservation. The main activities will aim at improving law enforcement to dismantle threat of illegal hunting and trade, and at increasing the knowledge about the both target species.